Not since a certain famous gorilla and plumber-to-be squared off for the coveted Pauline has there been a rivalry like that of the Kings of Kong. The film The King of Kong: A Fistful of Quarters brought to public attention the fight for dominance between family man Steve Wiebe and Goliath-like hot saucier Billy Mitchell, and since then New York plastic surgeon Dr. Hank Chien has entered the fray and stands today as the current champ. Last month we live blogged Steve's attempt to take back the record, and in March we'll be covering The Kong Off, at which all three and more will compete for supremacy under one roof for the first time in history. We recently sat down with Steve Wiebe to get his thoughts on these events and more, as well as follow up on some things we learned in our previous interview. Nintendo Life: Can you take us through the January 15th record attempts from your perspective? 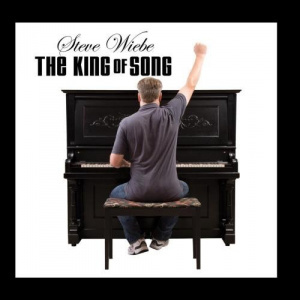 Steve Wiebe: The January 15th attempts were fun. I had a good run in the first game and thought that I was going to hit one million, but I had a mental lapse on the barrel board and fell short. I was pretty exhausted after the first game. The crowd was great and gave me a lot of support, so that was awesome. Unfortunately, I didn't have much energy left to give it a very good run on the next attempts. I still had a great time meeting all of the people that came out to support the event. NL: How often at home do you set up a camera and attempt to re-take the record? SW: When I make my record attempts in the summer, I always have a camera set up. I don't have much time to play during the school year, since I'm busy teaching. So, any playing during the school year is in preparation for a tournament or live record attempt and I don't record. NL: What are your thoughts on the upcoming competition The Kong Off in March? SW: The Kong Off should be a great event. I'm looking forward to meeting Hank Chien and some other top players that I haven't met before. Also, it should be fun to see Billy in action. 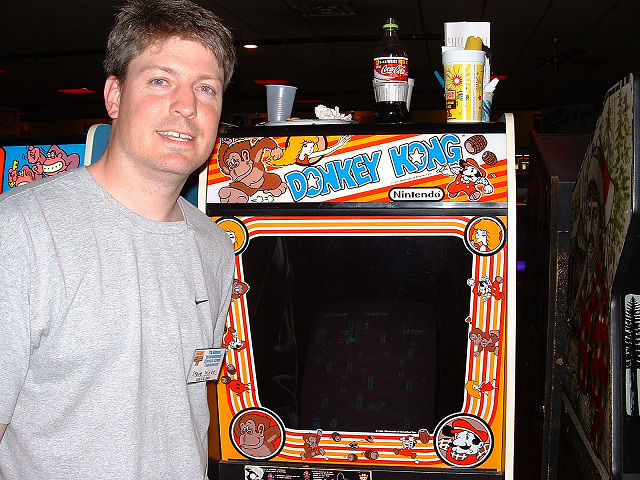 NL: In King of Kong, you said that you started playing Donkey Kong to get back some control over your life after you lost your job. Later on, you said that it wasn't about Kong anymore, it was about getting your score legitimately recognised. What's it about now? 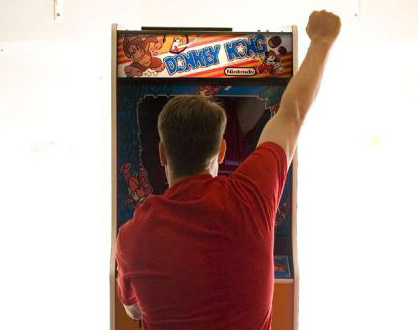 SW: The Donkey Kong record now is still partly about proving myself to some of the naysayers that still doubt me. I think most of the gamers give me credit for my scores, but there are still a few out there that want to discredit me. So, getting the live score in a tournament setting would be the most fulfilling way to erase any doubt. "The Donkey Kong record now is still partly about proving myself to some of the naysayers that still doubt me." NL: Tell us about DK101, your Kong class. SW: The DK101 class was something that Jim Zespy, the store owner of Logan Hardware and I came up with. Jim wanted me to do some demo of the game, and I had done a mini tutorial at a game show in Seattle a few years ago that I jokingly called DK101. I mentioned the name to Jim, and he thought it would be cool to run a class with a PowerPoint slideshow. NL: How many have you taught so far, and do you have plans to conduct more? SW: I've only taught three of the DK101 classes so far. I do plan on doing another one this spring at the Northwest Pinball and Game Room Show in Seattle if the directors would like me to do that. "Getting the live score in a tournament setting would be the most fulfilling way to erase any doubt." 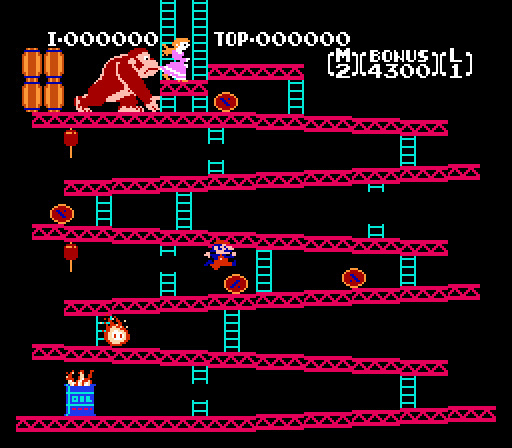 NL: In our last interview, you said that you'd thought about taking on the Popeye world record if you ever won back the Donkey Kong one. Have you made any progress on that? 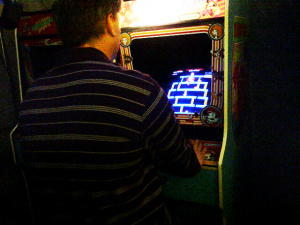 SW: I've played Popeye here and there at various arcades, but I haven't had the time to invest in mastering the game. The Donkey Kong record chase has still been in the forefront, but I do hope to eventually spend some time improving my Popeye game. NL: Have you engaged in any other video game pursuits as of late, or just found any new games you've enjoyed? When you last spoke to us, you mentioned that you weren't so big on current games. SW: I really haven't gotten into the current games, not because I don't think they're good, it's just that any time spent gaming has been devoted to Donkey Kong or Donkey Kong Junior. "I think the time away is hard on the family, so I try to limit the time I spend on going toward the record." NL: You also mentioned that there were plans for a fictionalised Hollywood version of King of Kong; do you know what's going on with that? SW: The last I've heard about the King of Kong remake is that the script was going through a rewrite. It should be done soon if it hasn't been finished yet. NL: There was a crew filming a new documentary at Logan Hardware. What can you tell us about it? SW: I don't know much about the film crew at Logan Hardware, so I'm sorry I can't expand on that. 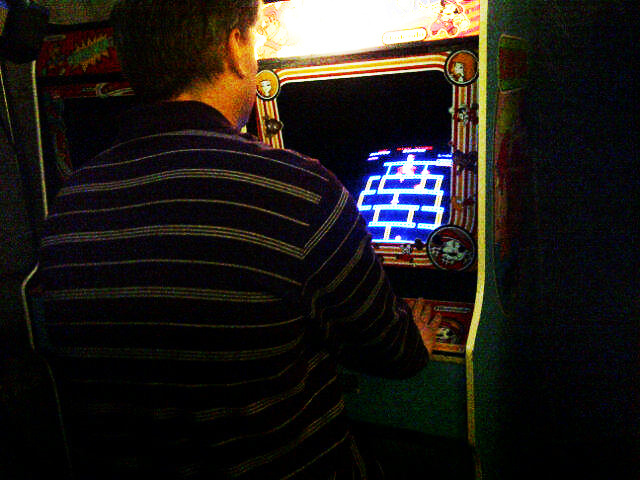 NL: Does your family still support your Donkey Kong conquest? SW: My family does wish me well with my Donkey Kong quests. I think the time away is hard on the family, so I try to limit the time I spend on going toward the record. NL: What did you think when newcomer Dr. Hank Chien entered the arena, and how have your interactions been with him so far? He actually commented on our live feed to wish you good luck during your record attempt. Though he's released an album, his music career is not in the foreground as Steve spends his free time "hanging out with the family, going on trips and coaching [his] son's basketball team." SW: I have to admit, I was caught by surprise when Hank came on the scene. I was amazed at how fast he was able to master the game. He has been a great champion and I've chatted on the phone and through Facebook with him and he's a great person as well. NL What's your relationship with Billy Mitchell like these days? Have you two made peace? SW: Billy and I have met up at a few publicised events over the last few years and he has been cordial. We shook hands and took pictures. Beyond saying hello, we haven't engaged in any lengthy conversations, but I don't feel there is any animosity towards me. I definitely wish him well and hope things continue to smooth over as time goes on. NL: What else has been going on in your life? Any updates in your other pursuits – sports, music, school teaching? SW: Besides being busy with school, I've just been hanging out with the family, going on trips and coaching my son's basketball team. If you're in Seattle, you may be able to attend the next DK101 class! NL One last note - my fiancée wanted me to tell you that you have a beautiful family. How are they? SW: My family is doing well, thank you. It's hard to believe that Jillian is 13 and Derek is 10 already. It just seems like yesterday when he was pulling on my pant leg in the garage during that infamous record attempt. NL: Is there anything else you'd like to add? SW: I want to thank all of the people that have reached out in support. I truly appreciate it. 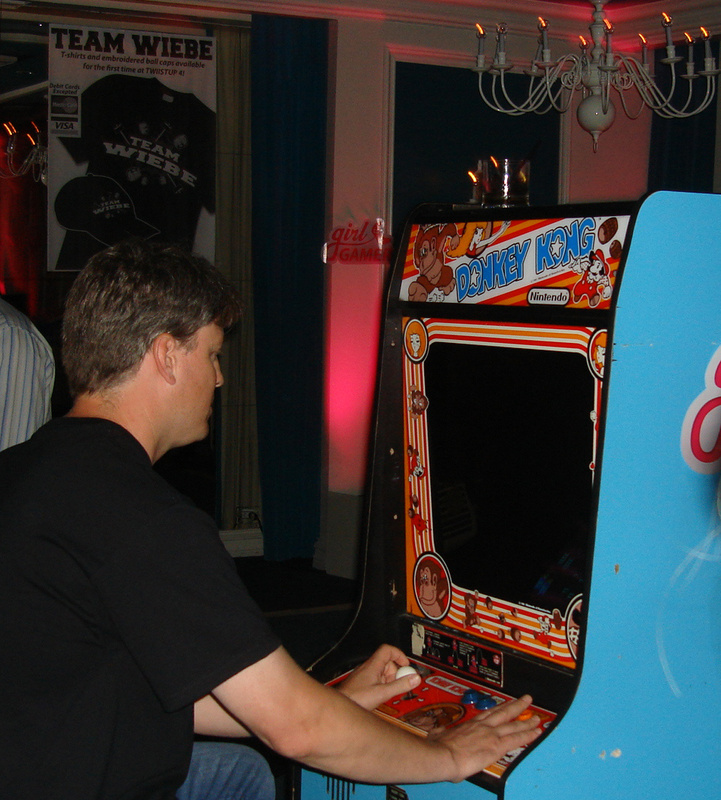 We would like to thank Steve Wiebe for sitting down with us to answer our questions. 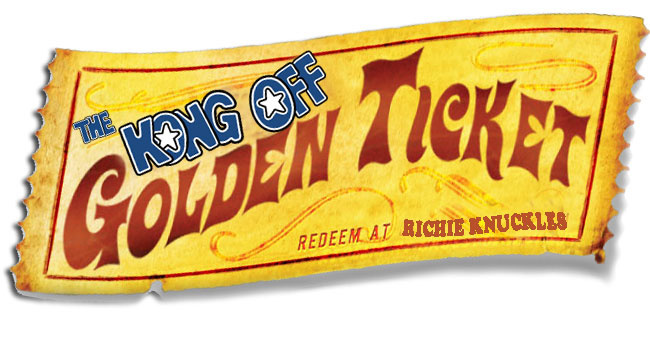 Tune in for our coverage of The Kong Off at Richie Knucklez Arcade in Flemington, NJ on March 19th and 20th, where Steve will face off against Billy Mitchell, Dr. Hank Chien and more for Donkey Kong dominance. 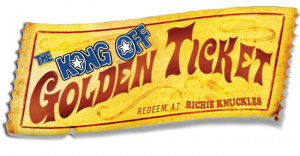 Who will be victorious at The Kong Off? We'll be there in March to bring you all the Kong coverage! I just watched King of Kong last night. odd. My vote is for the family man!... or Hank. 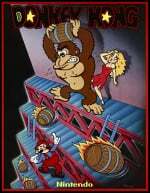 I'd really like to see a sequel to King of Kong. I kinda feel like I need it to understand who Hank is. Since he entered the scene the whole situation seems different. Everybody hates Mitchel and loves Wiebe, but what about Hank? Great piece, great interview and a Great Man. Glad you guys are enjoying the piece; ville10, actually a short form documentary has just been made about Hank, titled Dr. Kong. @6: Wow, that I didn't know! I will make sure to see it. Hank is a million times cooler than this guy.